We have a fantastic line-up for 2019. All 2019 events are on the website and the full Festival Brochure is now out. You can DOWNLOAD THE 2019 BROCHURE! Some events are bound to sell out quickly so do book early to avoid disappointment! If you missed our 2018 Festival, you can still download the 2018 Brochure. – This colour indicates a child & family event! – This colour indicates an event outside the main Festival weekend! – This colour indicates an event during the main Festival weekend! We have a range of free events taking place each month, and everyone is welcome. These include ‘Writers Meets’ on the first Wednesday of each month at 10.30 am at JellyPickleJam Cafe, and ‘Meet the Authors’ at 11.00 am on the second Friday of each month upstairs in Evesham Library. 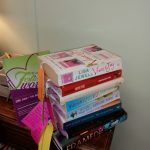 Meanwhile, look out for signs that our Festival ‘Book Fairy’ has been out and about, depositing piles of free books in selected venues around the town. The idea is that you find them, take one, read it, then leave it for someone else to pick up. 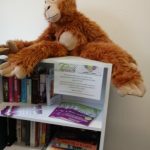 To start you off, the Book Fairy has already made a number of drops – Raphael’s Restaurant, Moo Moos Cafe, Delicious Cafe, Brew Bear, Hampton Farm Shop, Ellenden Farm Shop/Cafe, JellyPickleJam, Morrisons Community Book Shelf and Yates Court. Ellenden Farm Shop once again hosts a 2-course supper, followed by after dinner speaker, in what is bound to be a fabulous evening. Who doesn’t love an auction, or wonder about the value of what’s hidden in their attic? 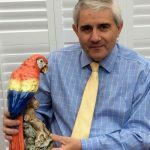 Warwickshire based Auctioneer, Steven Bruce, will take a humorous view of the auction world and the many associated television programmes. The Ellenden event in 2018 was our fastest selling event, so do book early to avoid disappointment! Venue: Ellenden Farm Shop, Harvington. WR11 8LU. 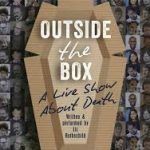 Outside the Box is a unique one-woman show about death, written, directed and performed by Liz Rothschild. Liz trained at the Bristol Old Vic. She went on to become a theatre practitioner, then a celebrant, then a burial ground manager. Realising the need to reach people before they have been bereaved or died, she set up the first Kicking the Bucket Festival in 2012 in Oxford. 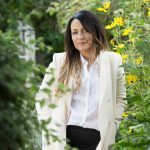 Liz’s unique insight into the ‘business of dying’ has created a highly original and beautifully cathartic show. Totally unique and original, Outside the Box asks its audience to embrace mortality and look on the bright side of life. The evening will include a raffle in aid of St Richard’s Hospice. Tickets: £10, incl. soft drinks and nibbles. For the third year running, members of Birlingham Photography Club will be putting on an exhibition of members’ photos. With a theme for 2019 of ‘It’s all there in black and white‘, the exhibition is a new take on old films with a collection of monochrome photographic images showcasing a world of black and white cinematography. The photos will be on display for the whole of June in the Circle Bar of Evesham’s iconic Regal Cinema. So come along, treat yourself to a pre-film drink, and enjoy a great exhibition. Venue: Circle Bar, Regal Cinema, Port Street, Evesham. 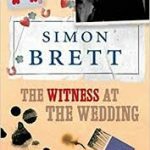 Simon Brett has written over a hundred books, including the Charles Paris, Mrs Pargeter, Fethering and Blotto & Twinks series of crime novels. His writing also includes comedy in radio and television series, such as No Commitments and After Henry. 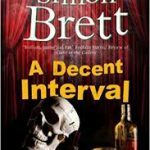 Simon was awarded an OBE in 2016 ‘for services to literature’ and around the same time elected a Fellow of the Royal Society of Literature. In 2014 he was presented with the CWA Diamond Dagger, one of the highest accolades in the crime writing world. Simon is a wonderfully entertaining speaker, so come along and hear more about his career in radio, television and the world of books. Venue: Ecgwin’s Club, High Street, Evesham. WR11 4EQ. Now a regular part of our Festival warm-up, the Bookworms Quiz Night is always a popular and very enjoyable event. Quizmasters, Helen Yendall and Chris Cherry, will once again be setting a mix of easy and challenging questions – to tax your brain, or let you shine. As always the questions will include a mix of knowledge of novels, nursery rhymes, poetry, plays, and anything ‘wordy’. Tickets: £6 per person, teams of 4. (Light supper included – pre-booking of teams essential). Everybody loves a crime novel. 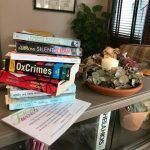 In this new event for Evesham Festival of Words, Debbie Young, popular local crime writer of the Sophie Sayers series, and founder of the Hawkesbury Upton Literary Festival, will be chatting to a panel of experienced and very different crime writers. David Penny, author of historical thrillers, sets his stories in Moorish Spain at the end of the 15th century; Angela Buckley writes about real-life Victorian crime. 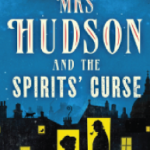 Her life of crime began with her own shady ancestors who struggled to survive in the dangerous slums of Victorian Manchester. Barry Faulkner, best-selling author of the DCS Palmer Detective books, was born into a family of petty criminals, his father, uncle and elder brothers running with the notorious Richardson gang in the 1980s. Barry did not follow the family tradition but the characters he met and the events he witnessed have added a certain authenticity to his books. If you have a story to tell and love theatre, TV, film or radio plays, then this is the workshop for you. 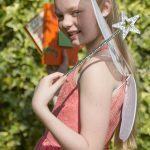 Designed to be interactive, fun and informative, this workshop will introduce you to: The key structural elements in a play; and a series of practical exercises – The Interview – Establishing Character; The Witness – The art of story telling; A Game of Consequences – Creating dramatic dialogue, and A journey through my senses – Pushing the boundaries of your writing. Through these practical exercises you will start to learn how plays are structured, create interesting stories, characters, dialogue and discover your voice as a writer. No previous writing experience is required, just a desire to write plays in a friendly and supportive atmosphere. Caroline Summerfield is an experienced playwright. Her plays have been produced in London, Birmingham and Cheltenham. 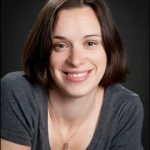 Awarded a Masters in Research in Playwriting in 2016, in the autumn of 2017 Caroline established Cheltenham’s first group for playwrights, actors, directors and producers – the Writers and Directors Workshop. By popular demand, Festival Chair, Sue Ablett, returns for another of her illustrated travel talks with a literary twist, this time with ‘A Globetrotter’s A – Z’ , featuring some of Sue’s favourite, or most interesting, or disastrous, destinations of her many and varied travels. 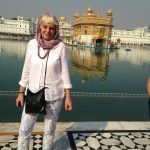 Sue is a passionate traveller and an equally enthusiastic speaker. Always fun and fascinating. Will there be the usual toilet feature? You’ll have to come along and find out, but don’t delay this is bound to be another sell-out session. Venue: Wallace House, Oat Street, Evesham. WR11 4PJ. Tickets: £6, incl tea/coffee and home-made cakes. With author, Kate Hewitt. 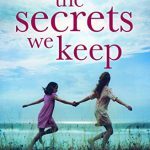 From high concept, heart-wrenching dramas to cosy village sagas, whatever the genre Kate enjoys writing emotionally compelling stories peopled with flawed characters who struggle with real life issues. She got her start writing short stories for magazines, then moved on to writing romance for Mills & Boon. 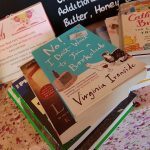 As a mum of five children, and the wife of a former vicar, Kate is often asked how she manages to write as many books as she does. Come along and find out! 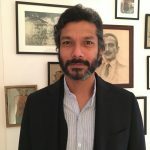 Author, Moin Mir, has written extensively on 19th century India and empire. 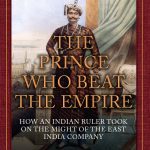 His latest book, ‘The Prince who beat the Empire: How an Indian ruler took on the might of the East India Company’, traces the true and untold story of an Indian prince’s epic quest for justice against the might of the Empire in Victorian England. Having been unjustly stripped of his lands, estates and possessions by the English East India Company, the Prince of Surat twice travelled to England to expose the corruption of the colonising corporation, finding unlikely allies in Victoria and Albert, with a campaign for justice playing out in the House of Commons, and ultimately finding true love in Victorian England. Moin Mir is a direct descendent of the Prince of Surat and weaves a fascinating story. 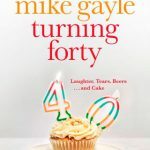 Our main Festival weekend opening night features popular author, Mike Gayle. Mike started his working life in London hoping to become a music journalist. This didn’t happen and he ended up as an agony uncle for teenage girls’ magazine, Bliss, before becoming features editor on the now much missed Just Seventeen. Since then Mike has written for a variety of publications including The Sunday Times, The Guardian and Cosmopolitan. 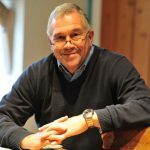 Mike became a full-time novelist in 1997 following the publication of his Sunday Times Top Ten bestseller, My Legendary Girlfriend, hailed by The Times as a “funny, frank account of a hopeless romantic.” To date Mike is the author of twelve novels, including Mr Commitment, Turning Thirty, and Turning Forty – to name but a few. Mike’s talk will be followed by the presentation of prizes to the winners of our 2019 Festival of Words Short Story Competition. Tickets: £7.50, incl glass of wine and nibbles. In this fast-paced session, best-selling novelist, Martin Davies, will talk about book covers old and new, and about his own personal joys and frustrations in discovering how a book gets its cover. Funny, furious and highly visual, this session is a must for anyone who has ever judged a book by its cover! Martin’s writing career got off to a rocky start at primary school where his creative writing was considered so bad he was put on the equivalent of the writing naughty step! After a while, things picked up! Martin’s first novel was published in 2004 (in Dutch bizarrely), and he is currently working on his eighth novel. Most of his work is based on historical fact and true stories. 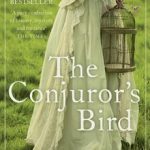 The Conjuror’s Bird, his first UK novel, was selected for the Richard & Judy Book Club, and sold over 150,000 copies. Havana Sleeping, an espionage thriller, was shortlisted for the 2015 CWA Historical Dagger Award. He is also author of the Holmes & Hudson Series, about Sherlock Holmes’ housekeeper. Tickets: £6, incl. tea/coffee and home-made cake. 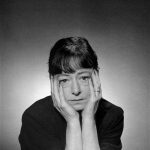 Dorothy Parker was an American poet, short story writer, critic and satirist based in New York; she was best known for her wit and wisecracks. Her one-liners are legendary: “Men seldom make passes at girls who wear glasses” and “I don’t care what is written about me so long as it isn’t true”, to name but two. 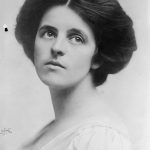 Reading from her works, Linda Hart’s one-woman performance reveals Dorothy’s fascinating life, her struggle with depression, masked by her biting wit; her career as a drama critic and book reviewer, and her involvement in politics. Linda Hart moved from New York to England in 1975 and had various London-based jobs in countryside conservation. 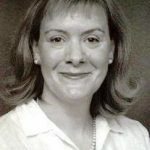 Since 1993 – living in Herefordshire, then Worcestershire – she has worked as a freelance writer, researcher, editor, lecturer and performer. She compiled and edited Once They Lived in Gloucestershire: A Dymock Poets Anthology. 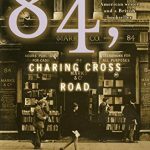 At a Festival event on 5th October 2019, she and John Burns will bring to life the famous correspondence in 84 Charing Cross Road, which began on 5th October 1949. Venue: Friends Meeting House, Cowl Street, Evesham. WR11 4PN. 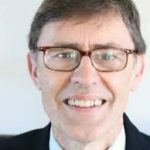 Martin Davies ‘s workshops are fun, very fast moving and quite light-hearted, but address serious issues and hopefully will send people on their way eager to put pen to paper. This Workshop, Kickstarting Your Novel, is less about the craft of writing but more about overcoming all the obstacles that prevent people from starting their novels, or from finishing the work they’ve started but set aside. Martin will cover plotting and planning and scene setting and character development, etc, but with the emphasis always on building momentum, enthusiasm and reinvigorating the imagination. Venue: Almonry Museum & Heritage Centre, Abbey Gate, Evesham. WR11 4BQ. Tickets: £15, incl. tea/coffee & home-made cake. 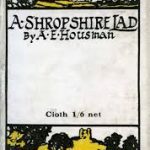 AE Housman was the leading classical scholar of his day, yet he is better known as the author of A Shropshire Lad, a perfect evocation of lost love and a vanishing English landscape. It may come as a surprise to know that he was not actually born in Shropshire, but in the Worcestershire town of Bromsgrove. In this illustrated talk by Julian Hunt we will hear how the poet’s view of the world was shaped by the early death of his mother, the financial failure of his father, and above all, by his hopeless attachment to a fellow student at Oxford. Julian Hunt’s father was co-founder of the Housman Society. 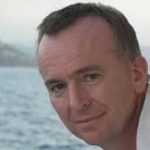 Julian has worked as Local Studies Librarian firstly in Oldham and subsequently in Buckinghamshire. 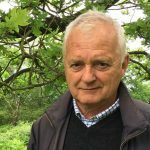 He has written numerous histories of Buckinghamshire towns, several articles about AE Housman and is Editor of the Housman Society Newsletter. We are delighted to present this talk as a joint event between Evesham Festival of Words and the Housman Society. Housman lovers may be interested in Evesham Walking Festival, which features a Housman-themed walk on Bredon Hill on Wednesday 3rd July. 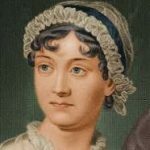 Jane Austen has enduring popularity the world over. 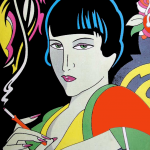 Described as a “lively and varied recital/performance, with engaging drawing-room intimacy” this one-woman show celebrates the life and mind and writings of one of our greatest novelists. Consisting entirely of Jane Austen’s words, ‘Jane Austen at Home’ celebrates the variety and wit of her writings, with extracts from her memoirs, letters, juvenilia, poetry and novels, and takes us into the attitudes, imagination and sensations of those who lived in country houses and rectories in the early nineteenth century. The show includes much of her perceptive (often satirical) observation of the social life of English country families. The extracts also capture her warm-heartedness and affection. Although designed for country-house drawing rooms, this is an event which will fit beautifully in the lovely setting of All Saints Church. Jane Austen at Home is devised and directed by Stephen Siddall. This event is kindly sponsored by Richmond Villages, Wood Norton. Tickets: £10, incl glass of wine & nibbles. Are you fascinated by the beauty of calligraphy and have perhaps just given it a little go, or are a complete novice? If so, this is the perfect Workshop for you. Come along and learn the art of using the dip pen and complete a small project, using the popular Mouse Roman script. All materials will be supplied. There will be a small charge for these (approx. £5) but you can take them home. Josie Brown is a professional calligrapher and heraldic artist, carrying out commissions for the private, academic and military sectors. Teaching has always been an important feature of Josie’s work – teaching in several curriculum areas as well as calligraphy. Tickets: £15, inc tea/coffee and home-made cake. A Tale of Two Cities – nothing to do with Charles Dickens – was a transatlantic poetry project set up by poet, Nina Lewis, as her Laureate Legacy. It involved 47 poets from Worcester UK and Worcester USA, exchanging call and response poems. In the first half, UK poets start with live readings of their call poems sent to t he USA, and then their American partner reads their response poem on video. The second half starts with video call poems first followed by UK response poems. Come along and enjoy this event, and then follow up at 1.00 pm with the Poetry Picnic, led by Suz Winspear. Venue: All Saints Church House (upstairs room), Market Place, Evesham. WR11 4RW. Popular Worcester-based poet, Suz Winspear, will lead this year’s Poetry Picnic. 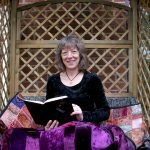 In her own words, Suz “writes Gothic fiction, lives in a disused church, and have a day-job in the local museum!” She was Worcestershire Poet Laureate in 2016. 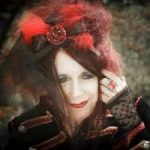 Usually dressed in all her Gothic finery, Suz is a fabulous performance poet, really making her poetry come to life. The Poetry Picnic is being held in the delightful setting of the Friends Meeting House. With its hidden gem of a beautiful secluded garden, this is the perfect setting for a meeting of poetry minds. There will be some invited poets but also opportunities for poets to bring their own poetry, or poems that they love, or have found inspiring, written by other poets. Bring a sandwich. Tea/coffee and soft drinks will be provided. Fingers crossed for fine weather! The Red Lion is the perfect venue to while away a couple of hours, sipping a pint (or whatever takes your fancy) while listening to some great music from our very talented local musicians. Tucked away in the corner of Evesham’s Market Square, the Red Lion was first recorded as a public house in 1728. It now provides a very friendly, welcoming and informal venue, with a good range of music on offer throughout the year. 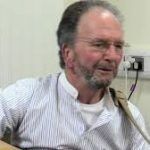 Local songster, Griff Collins, will be performing Songs of His Years. Whatever your age, or musical taste, there is bound to be something to suit! Venue: The Red Lion Pub, Market Place, Evesham. WR11 4RW. 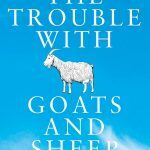 ‘The Trouble with Goats and Sheep’ was the Sunday Times best-selling debut novel. 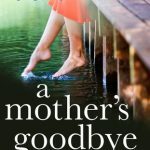 Selling over 250,000 copies in the UK alone, and now published in more than 15 countries, this is the book that launched the writing career of Joanna Cannon. Since then Joanna has been on TV and radio. 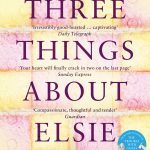 Her second novel, ‘Three Things about Elsie’ was published in January 2018. As an only child of an only child, a great number of Joanna’s friends lived within the pages of a book, and she soon discovered what would become a life-long fascination with words, stories and character. Abandoning her A levels, it wasn’t until her 30’s that Joanna went back to college and subsequently qualified as a doctor. A real favourite with book clubs, this really is a session not to be missed. 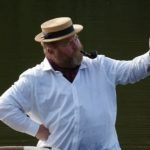 Giles Shenton, who in 2018 wowed the audience with his performance of Old Herbaceous, returns by popular demand, with a rip roaring barrel of fun, Three Men in a Boat, with Giles playing the part of Jerome K Jerome. 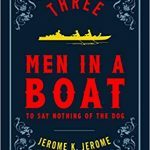 Join Jerome as he recounts the hilarious story of his boating holiday along the magnificent River Thames, with his two companions and Montmorency the dog. Come and join in the fun as Giles expertly takes the helm and pilots you through the ridiculous tale of men behaving badly while messing about in boats! Three Men in a Boat is a wonderfully timeless book, and Giles Shenton is a superb performer. You can guarantee that he will establish an immediate rapport with the audience, and make the characters feel so real, we will feel we have known them forever. This event promises to be a great ending to our main Festival weekend. Tickets: £10, incl wine and nibbles. Which comes first, the words or the tune? If you’ve ever wondered about this, then this workshop is for you. Perhaps you have a line in your head that you think would make a song. Now is your chance to try it. Colin Pitts is a popular songwriter with a rapidly growing reputation. His songs are regularly sung at acoustic events across the country. He has appeared at many festivals, events, and on radio in the UK and abroad. 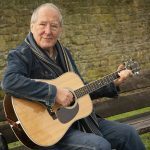 Colin has released a total of 7 albums, including one with local poets, Sue Johnson and Bob Woodroofe. 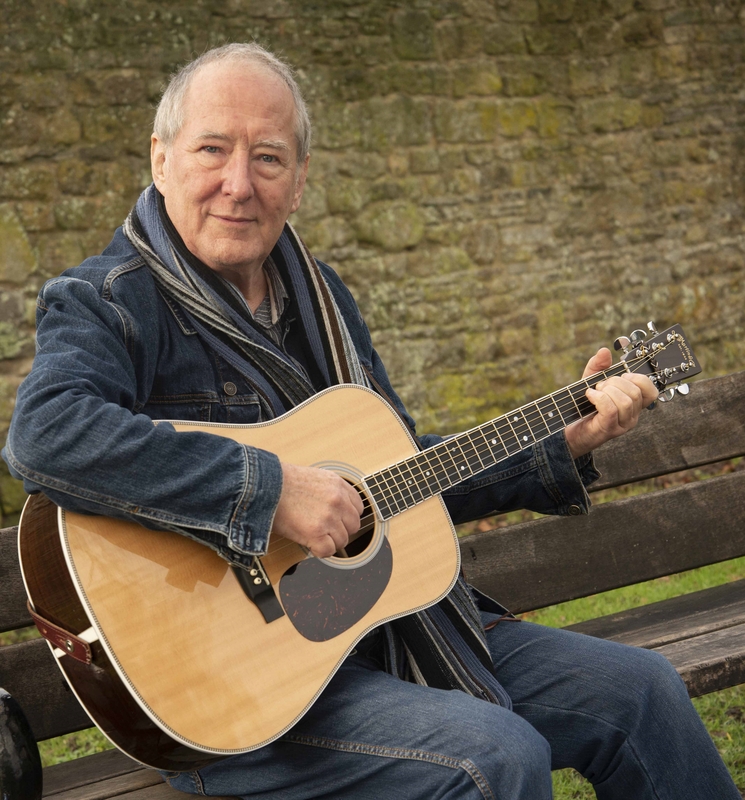 Many of his songs are inspired by, or are about, Evesham – the reason he spends so much time sitting in our local cafes! The Songwriting Workshop will provide you with the opportunity to try your hand at writing a song. You will hear songs written by a range of writers, performed in Colin’s own unique style. There will be many tips on writing from Colin’s long experience. The workshop is ideal for those who do not have experience, but have the desire to put that line from a notebook into a song. No specific musical training is required. Please feel free to bring an instrument if you wish, though this is not essential. Try it. You’ll be surprised at what you can do! Tickets: £15, incl tea/coffee and home-made cake. 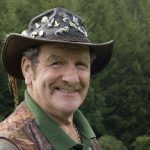 Johnny Kingdom, gravedigger, wildlife enthusiast and utterly unique television personality did more than anyone since Lorna Doone to bring the wonderful landscape and wildlife of Exmoor to millions of people. Johnny was extraordinary. With no training and little formal education, he used a video camera and an unadulterated enthusiasm to take the viewing public with him into the magical world of red deer, badger, fox and all manner of wildlife in this superb but little known corner of England. Johnny died tragically in the autumn of 2018 on land he had bought and spent more than a decade transforming into his own personal Eden. David Parker was the man who brought Johnny to television. The two worked together for more than 15 years in a roller coaster relationship that took them to far flung parts of the Moor and latterly the world. David will use clips from the more than 50 television programmes they made together and talk about how they worked and why Johnny was so brilliant at bringing us closer to the world of wildlife he himself enjoyed so much. David Parker’s book, written with Johnny’s photographs, ‘Johnny Kingdom’s Wild Exmoor’, is published by Halsgrove. David gave a wonderful talk in 2018 about Laurie Lee. We are delighted to have him back again in 2019. 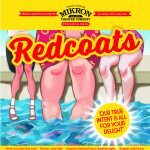 We are thrilled to welcome the very popular Mikron Theatre Company to Evesham with a performance of their new show, Redcoats. This show is bound to bring back wonderful memories for anyone who has ever been to Butlins, or for those who haven’t. Billy Butlin used Shakespeare himself to sell a seaside dream to the great British public. Join us as Mikron delve into holiday huts, bonny babies and knobbly knees, with guest appearances from Marlene Dietrich, Gracie Fields and Laurel and Hardy. Mikron’s radiant Redcoats will guide you through 80 years of Butlins splendour, with their trademark mix of fun, pathos and songs. The riverside setting of Raphael’s Restaurant, Hampton Ferry, will be the perfect setting for what will hopefully be a glorious summer’s evening. Bring your own chairs, blankets, umbrellas (just in case! ), but please don’t bring your own food and drink. Raphaels will be serving food and drink before the performance and during the interval. Come early and enjoy a meal before the performance. Tickets: No tickets required for this event. In usual Mikron tradition, a cash collection will be taken after the show. 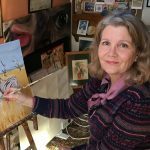 Poetry in Colour, an exhibition featuring illustrations by local artist, Lindsay Tether inspired by Sue Johnson’s poetry. Poems by Sue in response to Lindsay’s paintings. Each poem and illustration tells a story. They are all linked in some way. See also Art & Poetry Workshop – Monday 16th September, 10.00 – 12.00. Participants will be invited to create their own poem and artwork inspired by the Poetry in Colour Exhibition, which runs from 2nd – 30th September. Tickets: £6, including tea/coffee and home-made cake. To reserve a place contact: info@eveshamfestivalofwords.org. William Blake is described as the greatest of the English rebel poets that still cannot be ‘put in a box’. In this one-man play, we join William Blake in 1824 on a regular walk from Hampstead Heath to his home in the Strand after spending a day with his friend John Linnell and family. As usual for Blake, he is full of song and singing, often using his own verse as lyrics to pass the time as he strolls home. Questioned about ‘Building a New Jerusalem’, on this walk Blake tests the question for an answer. This solo performance will be followed by a Q & A session. Playing Blake is Robin Hillman, who will be remembered for his performance of John Clare in 2018. Robin has spent many years performing as an actor, fiddle-player and singer. Along with Stephen Loveless, Writer/Director and Co-Producer, who sadly died early 2019, Robin is co-founder of Theatre 17 (an Independent Theatre Company formed to bring theatre to small and unusual venues). Join us in a new venue for 2019. Tickets: £8, incl. glass of wine and nibbles. ‘Developing your Novel: From idea to first draft’ is for anyone who has an idea for a novel they’d love to write, or a draft that’s lost its way, whether it’s your first, second, third or twenty-third novel. On this one-day course Alison will demystify plot structure, characterisation and setting, and introduce ways to motivate yourself to stick with your draft through the highs and lows of writing a novel. Alison May is a writer, tutor, editor and blogger, and a regular contributor to our Festival. She is also half of the writing team that makes up the author Juliet Bell. Tickets: £20, incl tea/coffee and home-made cake. Bring your own picnic lunch. 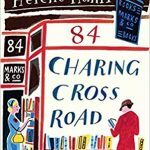 Join Linda Hart and John Burns in this dramatised reading of 84 Charing Cross Road, the famous story of a 20-year transatlantic correspondence between Helene Hanff, an American writer, and Frank Doel, a London second-hand bookseller. A shared love of literature was the basis of what became a warm friendship, as Helene sends Frank off in search of Quiller-Couch, Elizabethan love poems, The Canterbury Tales, The Oxford Book of English Verse, and many other tomes. 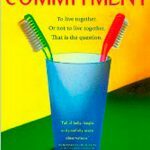 It is a story full of charm, warmth and humour, that has been the subject of a successful book, film and play. 5th October 2019 marks 70 years to the day since the date of the first letter from Helene. Join us on this auspicious occasion! Linda Hart moved from New York to England in 1975 and had various London-based jobs in countryside conservation. 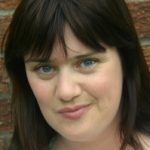 Since 1993 – living in Herefordshire , then Worcestershire – she has worked as a freelance writer, researcher, editor, lecturer and performer. She compiled and edited Once They Lived in Gloucestershire: A Dymock Poets Anthology. John Burns’ sensitive and thoughtful readings have delighted audiences from Arundel to York. 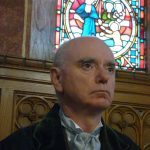 As a regular and popular performer at Ledbury Poetry Festival for over twenty years, his readings range from tragedy to comedy, poetry to prose, Lord Byron to Robert Browning. One reviewer referred to his ‘velvet vocals’ and the phrase now follows him around. Waitrose Cafe provides the ideal venue for this event. Come early for a spot of shopping! Following on from her very popular workshop: ‘Motivation and Moving Forward’, held in February, Ellie Stevenson returns by popular demand with a follow up workshop offering guidance on marketing your forthcoming or published book – both ebook and print versions. This is always a popular topic so do book early to secure a place. Tickets: £15, including tea/coffee and home-made cake. 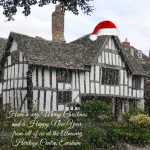 Our 2019 ‘Christmas Wordy Quiz Sheet’ will be out from 1st December, with a closing date of Sunday 5th January 2020. Free to enter. 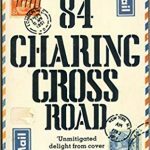 £10 book token to the winner. Available to download from the Festival website, or pick up from the Almonry or the Christmas Tree display in St. Lawrence’s Church. Come along to Evesham’s third Christmas Tree Festival in the beautiful setting of St. Lawrence’s Church. 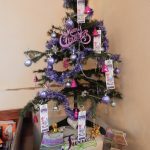 Admire our Festival tree, and all the others, and don’t forget to pick up a copy of our Christmas Wordy Quiz Sheet, and the Outline Programme for 2020. Come along to the Almonry for a fabulous evening concert with Musyck Anon and David Howe, performing music, songs, readings and anecdotes to celebrate the festive season, and all served up with a glass of mulled wine and a mince pie. (A Joint Almonry/Festival of Words event). Tickets: £5, available from the Almonry only.